Is “Idol Music” Just Dance Music? Super Junior‘s “Sorry Sorry” is, but “Sorry Sorry The Answer” is not. f(x)‘s “Nu Abo” is, but “Beautiful Goodbye” is not. TVXQ‘s “Mirotic” is, “Before U Go” is not, and who knows what’s going on with “Something.” Some want to equate popular K-pop music with dance music, but they may be surprised by the variety in the music produced by idols. Both journalists and academics limit the kinds of music associated with K-pop idols and equate it with dance music. Dance music is music designed to make people dance, and the beat is crucial. Mark J. Butler argues that “rhythm. . . is the raison d’être of electronic dance music” (4). But that does not mean that all dance music sounds the same: “There is an astonishing array of rhythmic diversity beyond the beat. . . . fans, musicians and critics [claim] that all of the myriad genres of dance music have the same meter (4/4) which they tend to link, through implicit or explicit comparisons, to perceived notions of simplicity” (5). All dance music is not the same. Super Junior’s “Bonamana” is not the same as House Rulez‘s “Reset,” even though both may be considered dance songs because they share the “four on the floor” rhythm. 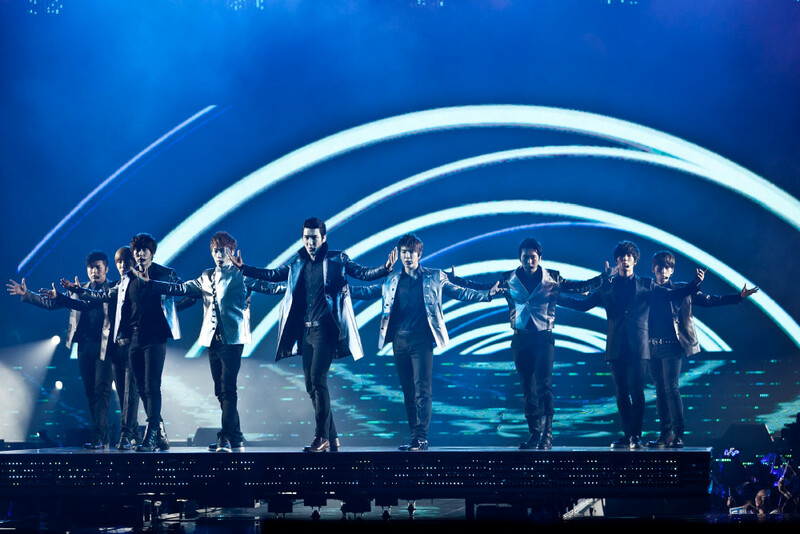 “Bonamana” is the type of dance song that Super Junior is known for, but it contains standard elements of popular song, including lyrics, verses and a chorus. “Reset” is quintessential electronic dance music (EDM): “Most of [EDM’s] genres contain no consistent verbal components [or lyrics]” and are “created by synthesizers and drum machines rather than ‘real’ instruments” (11). A comparison of songs by idols reveal differences. BigBang‘s “Fantastic Baby” sounds different from Infinite’s “Hands Up,” but both are dance songs. This is the case even with songs by the same artist. While Super Junior songs may reflect the trademark “Super Junior funky style,” “Bonamana” sounds different from “SPY.” “Bonamana”‘s rhythm stands out, while “SPY” features thick orchestration where horns are central. In addition, music produced by idols goes beyond dance music: “There are many critics who are reluctant to define idol music as a genre, citing a lack distinctive musical identity. They insist idol music is like a “spaghetti bowl” in which various music genres including dance, hip-hop, rap and R&B are all mixed up in one category” (Park). While charts tell us about popularity based on sales, listening to the music on albums reveals far more variety. A consideration of SM Entertainment (SME) artists show a variety of musical styles. With the largest roster of idols, SME is often cited as a primary producer of “idol music”: “‘SM style music’ was gradually defined as electronic-based, fast-beat, and strong with memorable lyrics with repeating ‘hooks'” (Shin and Kim). It’s clear that SM has its share of idols producing dance music. As the first paragraph shows, artists such as Super Junior, TVXQ, f(x) as well as SHINee and EXO have their share of dance tracks. However, these groups release albums with songs that go beyond dance music. These songs are not only included on albums, they are also featured in set lists when groups tour, suggesting that they are just as important as promotional dance tracks. The set-list for Super Junior’s Super Show 4 includes “Good Friends” and Super Junior’s Super Show 5‘s setlist features an acoustic medley that includes “Memories.” TVXQ includes “Tri-angle” and “Honey Funny Bunny” in its setlist. “Honesty” appears on the setlist for SHINee’s performances at SM Town Week. Music made by idols runs the gamut. In fact, it is the reason why fans like it. Instead of making assumptions, just listen to the music. “Electrifying Super Show.” Seoul Rhythms. 28 Feb. 2012. Web. 14 Jan 2014. “Super Junior(슈퍼주니어) _ SORRY, SORRY – ANSWER _ MusicVideo.” sment. YouTube. 10 Dec 2009. Web. 9 Jan 2014. “SUPER JUNIOR 슈퍼주니어 _SPY_MUSIC VIDEO.” SMTOWN. YouTube. 12 Aug 2012. Web. 15 Jan 2014. “TVXQ – I Swear.” Oumae24. YouTube. 23 Sept 2012. Web. 14 Jan. 2014. “07 늘 그 자리에 (Honesty) – SHINee (Sherlock).” AmberInJapan. YouTube. 18 Mar 2012. Web. 15 Jan 2014. “하우스 룰즈 (House Rulez) – Reset (With 안지석).” 3cinquesette. YouTube. 3 Aug 2012. Web. 15 Jan 2014. Butler, Mark J. Unlocking the Groove: Rythym, Meter, and Musical Design in Electronic Dance Music. Bloomington: Indiana University Press, 2006. Shin, Solee I. and Lanu Kim. “Organizing K-pop: Emergence and Market Making of Large Korean Entertainment Houses, 1980-2010.” East Asia November, 2013. doi: 10.1007/s12140-013-9200-0.